Playing the opening slot for a day-long festival is no easy task, but local DJ Harrison brought the party anyway. 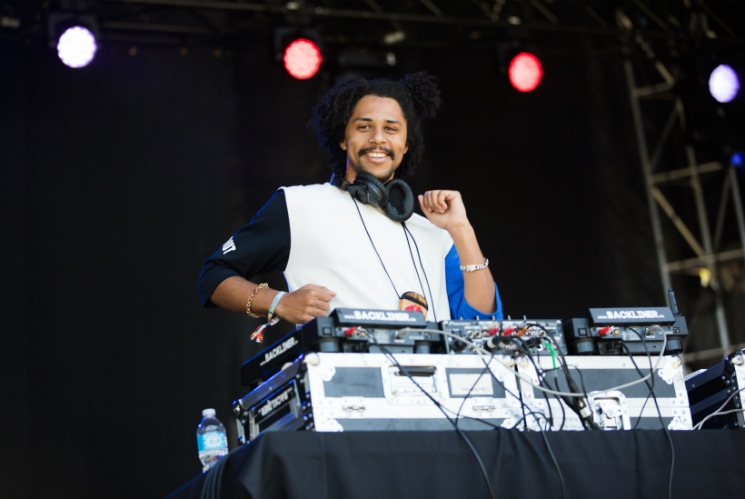 As people trickled into the Fort York grounds on Saturday (June 3), Harrison's music was magnetic, drawing more and more newcomers to the stage. His rubbery beats and funky bass lines helped string together a set comprised of his own songs and select danceable R&B cuts like the Whispers' "Keep on Lovin' Me" and Aisling Iris' "Hey Lover," soundtracking the cracking open of beers and chomping of popsicles. He even got a modest dance party going directly in front of the stage, which he was quick to acknowledge with a few nods before moving on to the next solid jam.